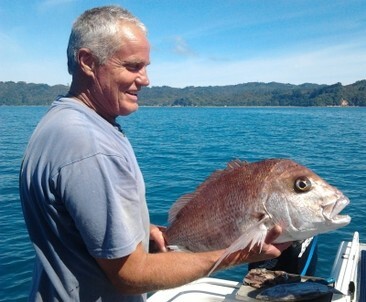 Fishing and sightseeing boat hire and charters in Tairua. Coromandel Peninsula, New Zealand. NZ. Waipae Magic Fishing and Sightseeing Boat Charters. Coromandel Peninsula, New Zealand. NZ. Welcome to Waipae Magic Charters, Tairua. View the abundant fish, birds, dolphins and more, that thrive in these waters! Fish the pristine waters that flow around the beautiful, naturally-sculpted islands and bays of one of New Zealand's most unspoiled coastal jewels! Enjoy a picnic lunch on a beautiful, uncrowded sandy beach! Go on, spoil yourself, or your friends and family, with a magical tour on the Waipae Magic - it's a memorable and special treat! Catching the big one on the Waipae Magic!